Last week's Style Saturday came out a little late since The Arcade was down for some fixing up, but it's up and running smoothly again. You can check it out here! Now, I'm not going to go repeating what I said in the article, instead I'll talk a little bit about my inspirations for these looks. Makeup is so great because of the freedom you have to create. Don't limit yourself to what an eye makeup is "supposed" to be, the shape it "has" to have, etc. experiment with different shapes, or colours, or textures, and you might just come up with something amazing. And don't be afraid of seeking inspiration from other people, too. You might get an idea from where you least expect it. An artist I've loved for quite some time goes by "Lucifer Is My Dad" online. 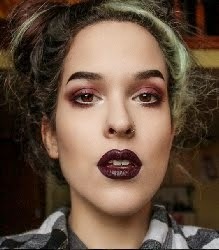 Her work is absolutely flawless and she's insanely creative, challenging what makeup "should be". 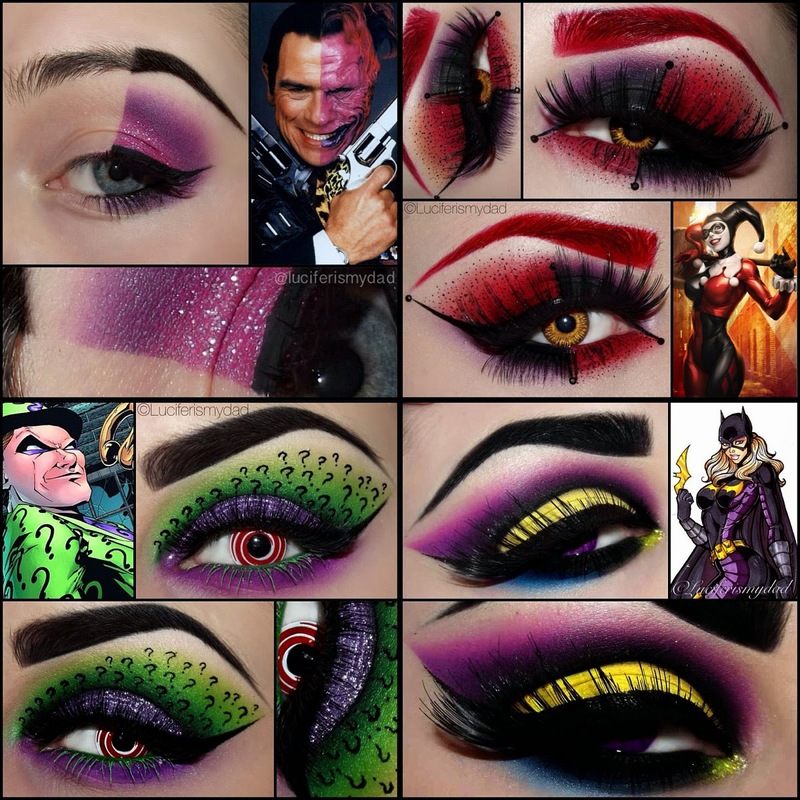 The first time I saw her work, it was a compilation of her Batman inspired looks and they instantly stuck in my mind and haven't left since. 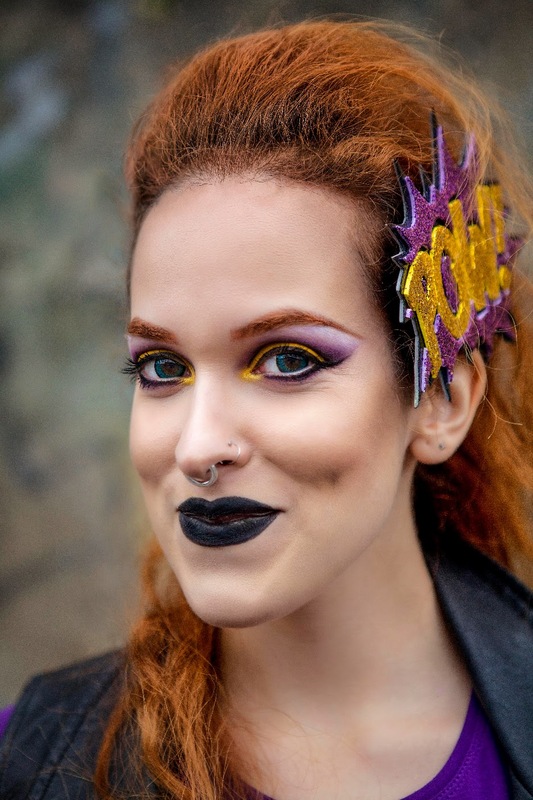 Last year I was actually part of a Justice League shoot where I was Batgirl and I based myself on her Batgirl eye for my look. 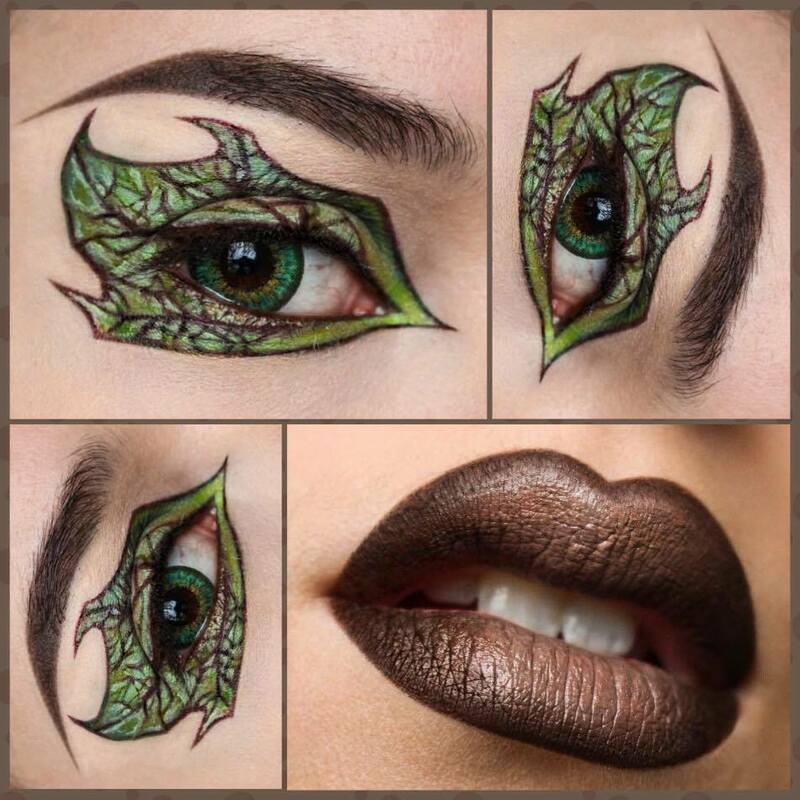 For my Ivy look, I found inspiration in Luciferismydad's Batwoman eye. The shape is just so different and unique, I adapted it to look like a leaf! As for the Rainbow Dash look, my inspiration came from Lady Gaga. I saw this and though "What if I add some clouds?... And GLITTER." It's funny because I never use glitter, but when I do I cover my whole face with it! But I mean c'mon... look how shiny!